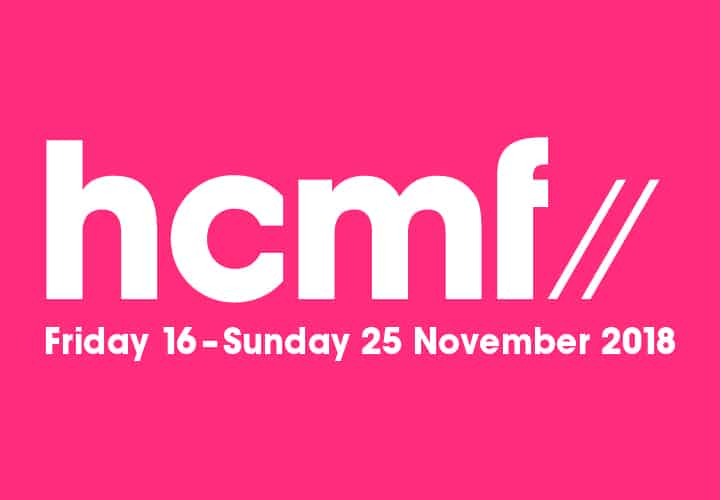 hcmf// takes place across Huddersfield from 16 – 25 November 2018. 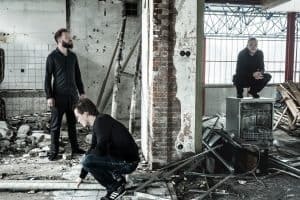 This year sees the 41st edition of Huddersfield Contemporary Music Festival, the UK’s largest international festival for new and experimental music. For this year’s hcmf//, more than 50 events will be staged in venues across Huddersfield, we take a look at some of the Festival highlight events, reveal some of the programme’s hidden gems and let you in on how to experience some amazing Festival events for FREE. Spanning ten days of concerts, music-theatre, multi-media, talks and film created and presented by artists and composers from around the globe, the full programme can be seen at https://hcmf.co.uk/2018-programme/. 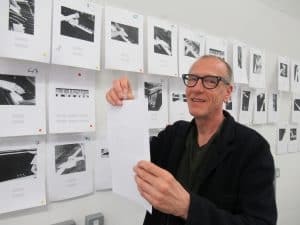 Visual art and sound culture collide as hcmf// welcomes internationally recognised Swiss-American visual artist and composer Christian Marclay as Composer in Residence. Having begun his career over 35 years ago as a DJ in New York, Marclay is probably best known for his epic work The Clock, currently pulling in the crowds at Tate Modern. As part of a wide-ranging programme of events, hcmf// presents the world premiere of Investigations, a new score made of 100 found photographs that feature piano players. The inaugural performance will feature 20 pianos and 20 pianists, each performing their own interpretation of the images. (Sunday 18 November, Huddersfield Town Hall, 4pm). Flemish theatre group Muziektheater Transparant presents Harriet, a monodrama depicting the life and impact of 19th century abolitionist Harriet Tubman. Having escaped her life as a slave, Tubman devoted herself to saving others through the Underground Railroad – a system of safe routes used to break out slaves and help them reach the free states. 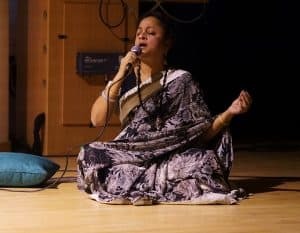 Composed and conceived by internationally celebrated composer Hilda Paredes, this ambitious and powerful narrative details Tubman’s journey from captivity into activism (Tuesday 20 November, Lawrence Batley Theatre, 7pm). 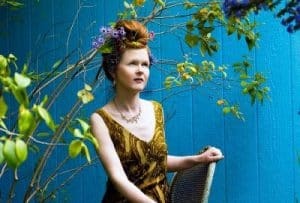 Pianist Sarah Cahill has developed a reputation as one of piano music’s most compelling voices. Her concert includes the minimalist music of Terry Riley in Keyboard Studies, an exercise piece of phenomenal speed, complemented by the fittingly titled Be Kind to One Another with its gentle, balmy atmosphere. (Tuesday 20 November, St Paul’s Hall, 12pm). 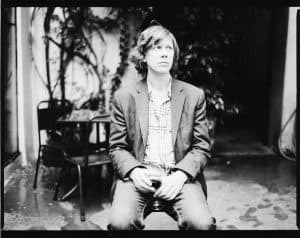 A founding member of noise rock legends Sonic Youth and a free improviser in his own right, Thurston Moore has spent the last 30 years threading together a disparate network of guitar music. His appearance at hcmf// includes a solo performance of Christian Marclay’s Wind-Up Guitar (1994), whilst Moore and his band will also perform a tribute to late avant-garde guitarist Glenn Branca, a pivotal figure in the New York No Wave scene of the 70s and 80s. (Tuesday 20 November, Bates Mill Blending Shed, 9.30pm). 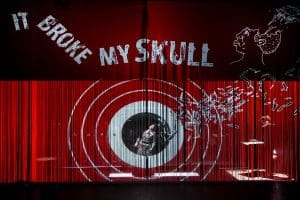 Climate change, fake news and technology are some of the inspirations behind eclectic live works by world-leading contemporary artists and composers, commissioned and curated to perform at hcmf// from across the UK, Germany, Switzerland, Sweden, Denmark, the Netherlands, Luxembourg, Belgium, Italy and the USA. The international line-up includes inimitable Ensemble Musikfabrik, Gothenberg-based group Mimitabu, compelling American pianist Sarah Cahill, and Dutch ‘chamber metal’ band TEMKO; as well as the latest new works from Jessie Marino, Salvatore Sciarrino, and Malin Bång. Alongside the headline events, the Festival’s Artistic Director has picked out some of the ‘Hidden Gems’ in this year’s programme – from Fast Gold Butterflies, which reunites turntablist/composer Matt Wright and the virtuosic Ensemble Klang at hcmf// at our newest venue, The Magic Rock Tap Room, to the beautiful and moving UK premiere of MUTED, a collective work by 4 composers written specially for violinist Monica Germino in response to the hearing problems that she is suffering. 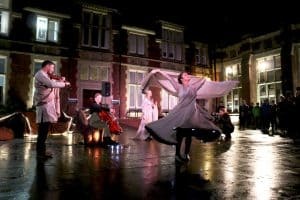 Recently debuted to critical acclaim at National Sawdust in Brooklyn, this is the only opportunity in the UK to experience this poignant work. 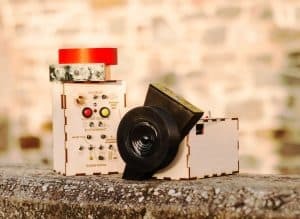 Young people aged between 11 – 18 can build their own noise machine and create interactive art work in a free workshop with Noise Orchestra which also includes making a paper-cut artwork which will interact with the electronics in the instrument, turning light into sound. Early Years artist and flautist Kathryn Williams leads two magical sessions for babies, toddlers and their grown-ups for Music At Play. Filled with interactive sensory stations and instrumental playing, including a soft play area for pre-walking babies, these events are an ear-opening experience for young listeners. There will be a trampoline for cuddly toys, so do bring one from home. hcmf// offers an array of free events – ensuring that as many people as possible can hear and experience new and experimental music. A highlight of every year is the specially curated programme of short, live events on Free Music Monday (Monday 19 November), starting at 11am and finishing past midnight – you can dip in, dip out, try one or two, or do the lot!